Frankly, we at MO would not know that the biggest complaint among sport-touring riders, especially performance-minded ones, is tire life. That’s because we rarely put more than a couple thousand miles on any bike before it goes back to its maker. 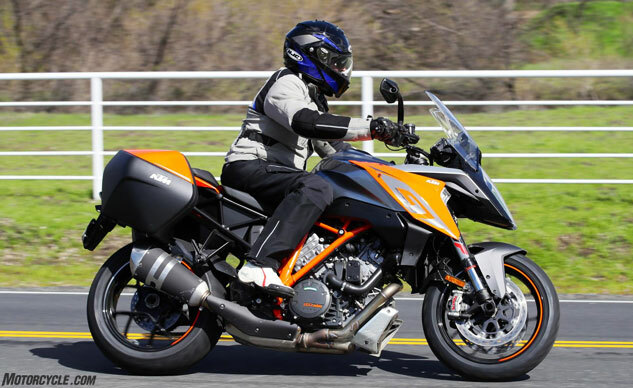 But we can see how tire life would be a real problem for big powerful beasts like FJR1300s and the sweet new KTM Super Duke GT – upon which I had the excellent fortune to sample Dunlop’s newest rubber upon. Dunlop says its exclusive MT Multi-Tread design binds a high-mileage compound to the center, and high-adhesion compound to the lateral flanks for high cornering grip. Dunlop also says new sidewall construction helps to provide better shock absorption and precise handling. While other brand’s so-called high-mileage tires “fall off” and lose significant performance long before they wear out, the RSIII offers more consistent high performance all the way to the wear bars. 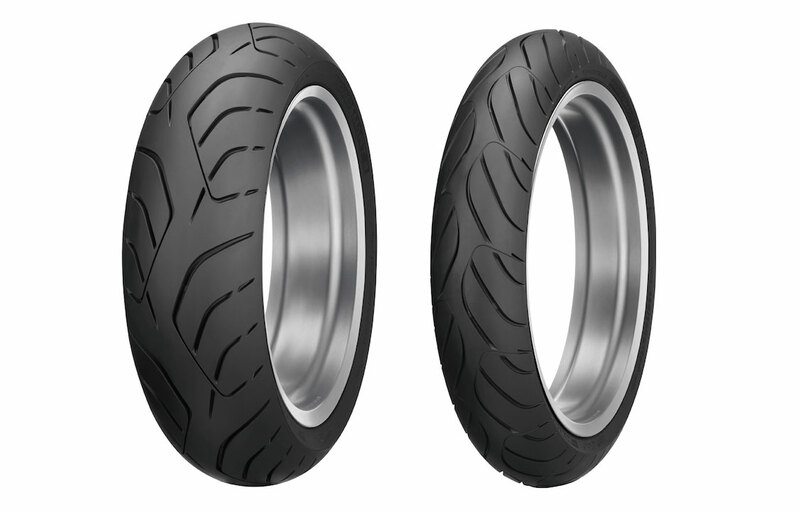 Riders familiar with Dunlop’s Sportmax Q3 have experienced the same thing – this tire offers industry-leading grip and consistent performance all the way to the replacement indicators. The overall construction of the RSIII achieves consistency in very specific areas. While some high-mileage tires may start out with light, linear steering and stability under braking, they become heavier steering, less linear and less trustworthy under braking as the miles roll up and the tire profile changes with wear. Additionally, compliance often suffers dramatically as some tires wear – not the RSIII. Engineers placed a priority on even wear to maintain light steering, consistent braking and handling, and excellent ride quality over the life of the tire. Dunlop hired an independent testing firm to back that mileage claim up, and Texas Test Fleet did indeed report (says Dunlop) that it got more than 12,000 miles out of a RSIII on a 2016 BMW R1200RT – 3,000 miles more than a set of Michelin Pilot Road 4 GT on the same bike. 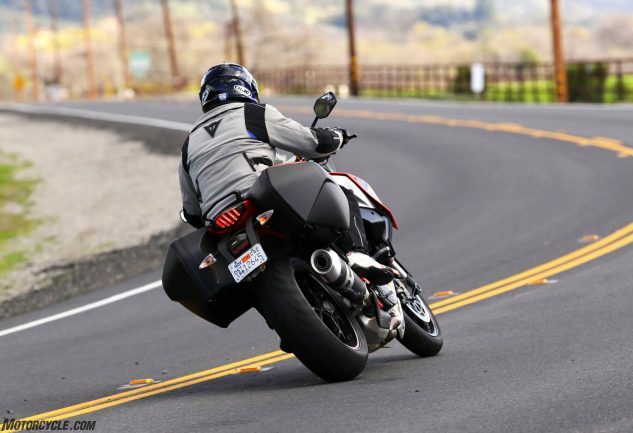 The Roadsmart III was introduced in Europe about a year ago, and at that time Dunlop had commissioned Germany’s Motorrad Test Centre to roll it off against the Bridgestone T30 Evo (single-ply version), Pirelli Angel GT, Michelin Pilot Road 4 GT and Metzeler Z8 Roadtec. 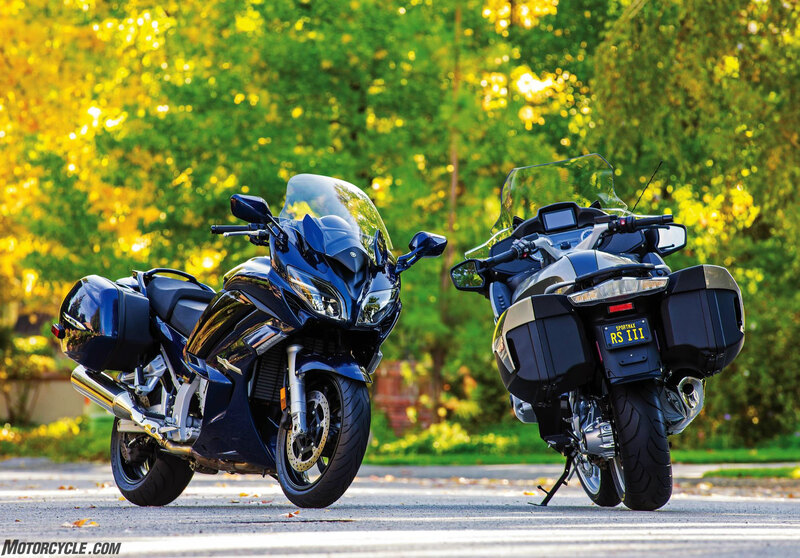 That test concluded that the Dunlop rear gave 19% better mileage than its rivals, and that the front Roadsmart III lasted an amazing 82% longer than its rivals on a Yamaha FJR1300. Furthermore, during testing at Dunlop’s own Huntsville Proving Grounds track in Alabama, Dunlop claims: tests comparing the handling of the Roadsmart III to Michelin Pilot Road 4 tires, with 3,000 miles on each of them, show the Roadsmart has a significant performance advantage in numerous categories, including wet and dry grip, steering response and compliance. Well, ahhhh, I can’t ride 12,000 miles in two days, but I can say the RSIIIs feel perfectly at home on the Super Duke GT cruising up Highway 101, strafing fast backroads at superlegal speeds, and navigating tight Malibu canyons. In, dang, nearly 30 years of riding around up in those usually parched Malibu canyons, I’ve never seen so many freshets crossing the road as California breaks out of its drought in a big way; some parts of the road were clean and dry, some sections muddy and slick… and most of those conditions reveal themselves only after rounding a tight blind corner. Aiiiieeee! 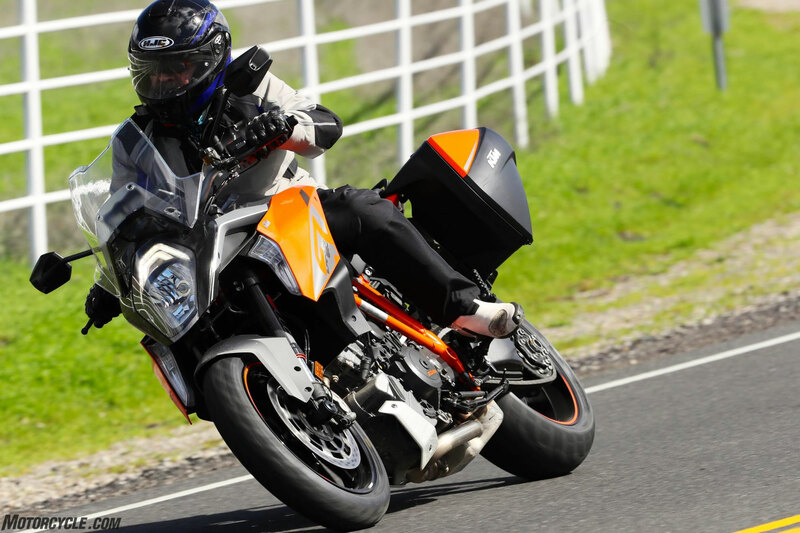 So, I can’t regale you with tales of outright grip at the limits of adhesion or anything, but I can say the Dunlops felt as perfectly natural on the Super Duke GT as the Pirellis did on the long-term tester Super Duke R we had a couple years ago: Planted, stable, and plenty grippy considering the conditions. Rich Conicelli at the office. Well, I’m no Rich Conicelli nor even a Ken Vreeke (former Cycle mag editor and now Dunlop’s ad agency principal, who still leaves me in the Malibu dust when the going gets muy rapido), but judging from those guys, if you need more grip than the Roadsmart III has, you need a full-on sport tire. Good luck finding one that’ll give you upward of 12,000 miles. For more information, visit DunlopMotorcycleTires.com, and don’t forget to subscribe to the Dunlop Download while you’re there (another excellent Vreeke & Associates publication).